KAPU is a range of passively safe lighting columns from Signpost Solutions. KAPU safepole has been developed to improve the safety of road-users. The pole is best suited for roads that have heavy traffic and parallel walkways behind them. KAPU has been patented and it has passed the required tests for all speeds. Long life and low life cycle costs make KAPU the most suitable and durable choice. The cone-shaped KAPU safety pole has been approved to the standard EN12767’s best class 100, HE 3, 120km/h. 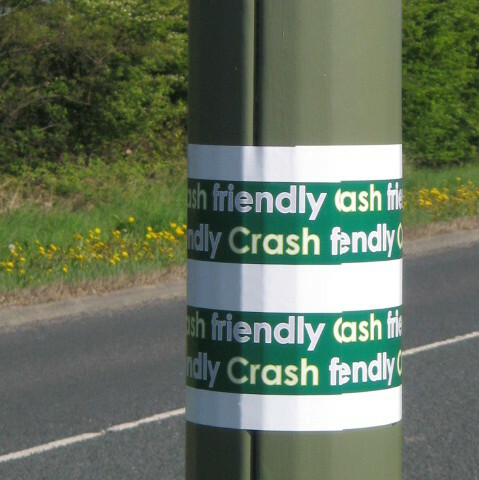 The safety of travellers in collision situations is based on the pole’s structure. When a vehicle hits the pole, blocks in the pole’s body disengage, reducing the collision energy and allowing the vehicle to stop slowly and safely. More than 30,000 KAPU safepoles were installed between 1994 and 2008. Approximately 400 poles have been hit, and in every case the poles have worked very well. KAPU safepole is constructed from steel lamellas that have no extensions and have been attached together longitudinally. The structure meets the requirements of the EN 40-5 standard. 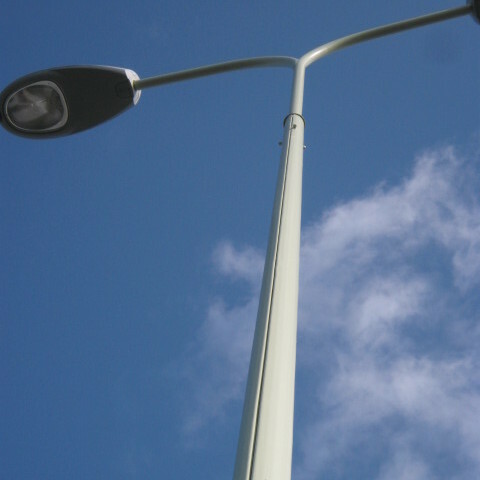 Steel is a familiar and reliable material for lighting poles. High-strength steel lamellas are cold formed into dimensional accuracy with computer-directed automatic machines. The material is hot galvanised according to EN ISO 1461. The screws used are made of stainless steel. KAPU®-NE column absorbs the energy and will give way to a vehicle in a collision situation, allowing the vehicle to continue on it path. If there is a danger to hit, for example, a pedestrian or a tree after the column is impacted, KAPU®-HE poles are recommended. The unique patented structure of KAPU®-HE pole reduces the risk of injury to driver and passengers. The column absorbs the movement energy of the colliding vehicles and slows speed in a controlled manner to a safe level. See the image below for a pictorial example of this.